Brad’s Corner – Do You Know Steve Prefontaine? Do You Know Steve Prefontaine? As I sit in my writing chair, wearing my OU green and gold Prefontaine Memorial Run sweatshirt and spying the iconic RIP picture of Steve running at Hayward Field, I am remembering how impacted I felt when I first heard of his car wreck and demise. 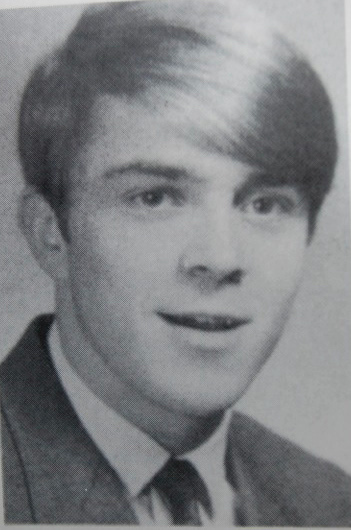 I have always been a huge Prefontaine fan (Prefontaine-o-phile?). I can’t tell you how many times I have been to Pre’s Rock or have run on Pre’s trail at Alton Baker Park in Eugene. I have been to Coos Bay multiple times and made a roadtrip with my son, Michael, his 8th grade year to race in the Pre Memorial Run where we met Pre’s younger sister, Linda and his mother, Elfriede. In a strange bit of fate, Michael and Pre share the same birthdate, Jan. 25. Just this last summer during our quadrennial visit to the Olympic Trials in Eugene we met Neta, Steve’s older sister and shared many thoughts with her at Pre’s Rock. I have read everything I can get my hands on about Steve in hard copy and the web so I thought, why not share my interest via a multipart article? Steve Prefontaine was a meteor in full glow, not a sleepy permanent planet. 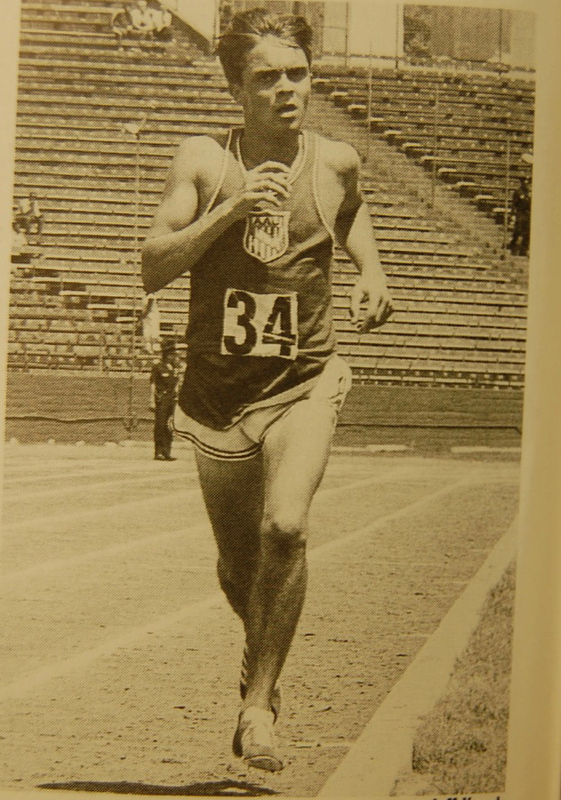 In the world of track and field from 1966-1975 he was, in a word, a phenomenon and known worldwide simply as, “Pre”. He was brash, fearless and outspoken and at least in the USA, invincible. Watching him race fearlessly from the front, backing up his talk was a thrill to his admirers and frustrating to his competitors. In short, you were either a fan of Pre or you weren’t. I, obviously, am a Fan! If you only know him as a world class runner you are missing the whole story. He was so much more than just that, most of which wasn’t even known by those who thought they knew him. Even to those who were close to him were in agreement; it was difficult to get close to him but it was so worthwhile if Pre let you in. If you only are aware of his running history and multitude of quotes(misquotes?) you may be surprised of his many other exploits. Sit back and enjoy the ride. …On Jan 25, 1951 Steven Roland Prefontaine was welcomed to his family home on Elrod St in Coos Bay, Oregon by his dad, Ray, his Mom, Elfriede and his sister, Neta. 2 years later Pre’s little sister, Linda, was added to the Prefontaine household and they lived a happy, near idyllic life in the hardscrabble, often harsh coastal town. Steve was raised in a clean, neat household with rules and chores. His parents were hardworking, Ray a carpenter/welder and Elfriede a seamstress. Hard work was the expectation in their logging/ocean fishing community. Ray had met his future wife in Germany during WWII and brought her back to his hometown. Having spoken German most of his early years posed a problem for Steve when he started school, making him Initially shy and reserved. Steve was a very energetic child who had early difficulties in school as well. Combined with his short stature(barely 5 feet and 100 pounds in the eighth grade) and not making the football team, Steve was less than confident in many situations. Still he was very athletic and strong for his size and was searching for an outlet for his special abilities, a sport of toughness for a person with something to prove. To truly understand Pre you have to appreciate growing up in Coos Bay, a logging and fishing village where hard work is a given. The terrain and weather is harsh with toughness a badge of courage. Perhaps because of its isolation sports are enthusiastically followed, especially football and basketball and the pressure to participate is intense. Hence, the Varsity letter from Marshfield High is a sign of manhood that follows you long after you graduate. (Think ‘Hoosiers’). What really focused Steve’s desire to be special was failing to make the State 2 mile championship his sophmore year after the promising XC finish partly due to his incessant running around yelling encouragement to his teammates. Even at this young age his focus, team orientation, leadership and ability to accept severe punishment, mentally and physically during training was legendary. His junior year summer training (including 2 workouts daily year round) led to being undefeated and winning a state championship in XC and a state record 9:01.3 in the 2 mile on the track. By this time, the moniker ‘Pre’, was the norm and much of Coos Bay is scheduling time to watch their precocious ‘son’. Pre is the boy who is always running and his 6am daily runs are peppered with waves from the garbagemen, bread truck drivers and street cleaners. This is the beginning of his feeling of responsibility for ‘his people’ started in Coos Bay and cultivated in Eugene. Pre’s senior year again was punctuated with an undefeated XC season and state championship which led to unprecedented track goals of 1:52 half mile, 3:56 mile, 9:00 2 mile by the end his senior year. By April Pre was ready to attack the national High School 2 mile record held by Rick Riley in 8:48.4. On a very cool night at the Corvallis Invite running alone Pre, feeling nervous, started out in a slow 69 second first quarter mile but he got back on track quickly running a negative 2nd mile with a 61.5 last quarter and a new national record of 8:41.5 by nearly 7 seconds. As the Marshfield High track team was in a close battle for first further record attempts were traded for a mile/ 2 mile double of 4:07/9:03 at the State Meet. Pre was satisfied with this result and the national 2 mile record in particular led to a huge gain in his confidence. His senior year was also non stop recruiting and something Pre wasn’t comfortable with. His Marshfield coach, Walt McClure, took over and steered the recruiting path. Pre was interested in going to the University of Oregon where legendary Bill Bowerman coached many world and American record holders or Oregon State. But Pre was perplexed that Bowerman had not visited him but rather had sent some of his U of O runners and an assistant. His pride bruised, Pre finally received a handwritten note from Bowerman stating that if Pre came to U of O he would make him the best distance runner ever. That was all Pre needed to hear. He was to be a Duck. After his acceptance Bill Bowerman sent an open letter to the community of Coos Bay thanking them for their part in Steve’s success so far and that if he kept his eye on the target and his dedication with his background he would become the greatest distance runner in the world. With that Bill Bowerman picked Pre and Pre picked the U of O. All that was left was the mile at the national meet in Sacramento, the Golden West Invitational won by Pre in a high school PR of 4:06. That ended his high school career…And almost immediately he made the plunge into world class competition.